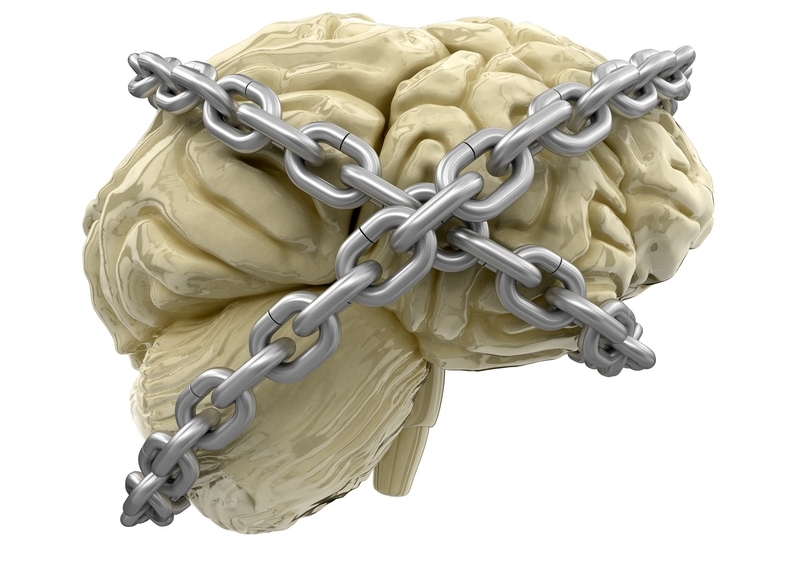 If you are not in control of your own mind, someone will happily take control of it for you. Have you ever noticed, as soon as you take your focus away (from whatever it may have been focussing on) that others eagerly step in, to take control? Normally for their own benefit. After days, weeks, months and years of this, that person becomes so reliant that they give up making decisions for themselves and become totally reliant on their ‘Controller’. Indeed, many start to express sympathy and are empathic to that person, which merely serves as strengthening the bond and dominance that they have over that person. You may have heard of this syndrome, widely known as ‘Stockholm Syndrome’ following the Swedish Bank Robbery in August 1973. It was 23 August 1973 when the four were taken hostage in the Kreditbanken by 32-year old career-criminal Jan-Erik Olsson – who was later joined at the bank by a former prison mate. Six days later when the stand-off ended, it became evident that the victims had formed some kind of positive relationship with their captors, Stockholm Syndrome was born by way of explanation.The phrase was reported to have been coined by criminologist and psychiatrist Nils Bejerot. Psychiatrist Dr Frank Ochberg was intrigued by the phenomenon and went on to define the syndrome for the FBI and Scotland Yard in the 1970s. At the time, he was helping the US National Task Force on Terrorism and Disorder devise strategies for hostage situations. 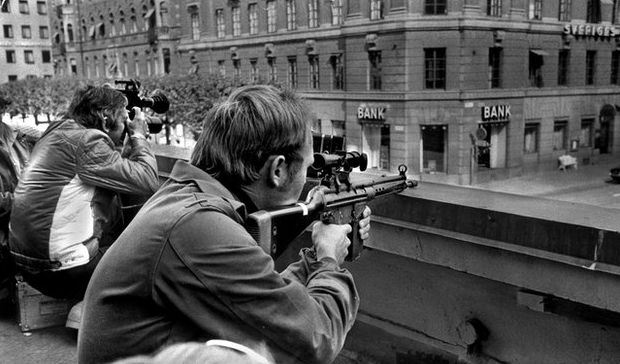 Police snipers opposite Kreditbanken where Jan-Erik Olsson held workers hostage for six days. Over many years this has been called ‘brain-washing’ or ‘programming’ but it is evident (and has been proved on many, many occasions) that it is totally reversible. Now, surely, that is good news? So why do people, and I’m not talking ‘hostages’ here, but everyday folk, still constantly rely and live their lives doing things that others want them to do, even though it is having (and does) have a detrimental effect on their life and well-being? When you look into this further, the ‘controller’ has eroded the victim’s confidence and self esteem and in doing so, has promoted dominance and control, to such an extent, that even daily decisions, that people, perhaps like you and I may take for granted, feel a reliance on asking and ‘seeking permission’ until they can actually go ahead with the decision or task. Albert Einstein once said, ‘Insanity: doing the same thing over and over again and expecting different results’. 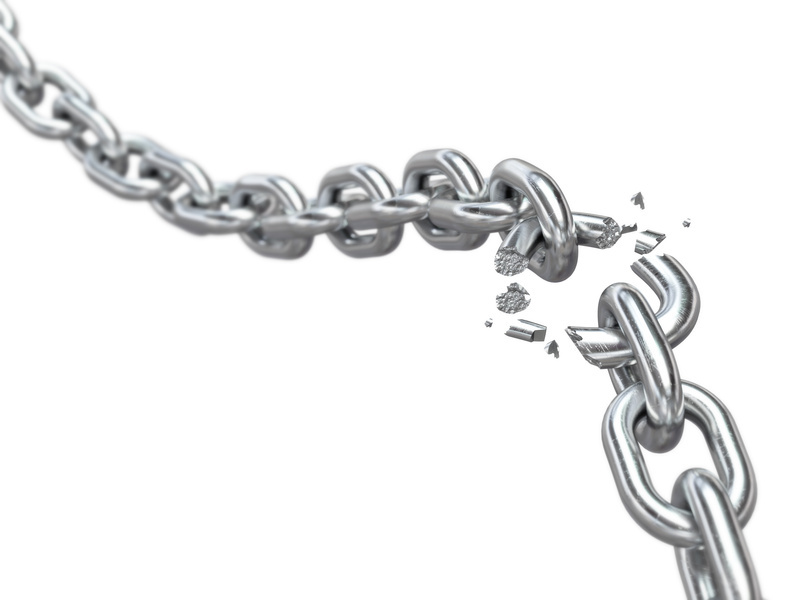 So what we merely have to do is break the chain, start doing things differently, trying new ways. It is easy to keep going along with the way that it has always been, and many do this for an easy life. But if you really want to make changes in any area of your life, to perhaps have a career change, to step outside of that so-called comfort zone, then you have to start to break the chain and do things differently. Ask yourself this: Am I 100% happy with my lot in life? Now, let’s get in the real world, possibly very few people will be 100% happy all of the time, so I’ll take 85-90% of the time as being happy as a pretty good life! If you are, then fantastic, carry on doing what you are doing. If you want changes, then, as Mahatma Ghandi once famously said, ‘You must be the change you wish to see in the world’. It is unproductive to keep slipping back into habit, into the ways of the past, into what you have always done. Be that change. It is unproductive to focus your attention on things that you don’t want, use the energy of that focus to accelerate you into the kind of life that you do want. Be that change. Be in control of your own mind. Be that change. Ultimately that change can only come from you, from your thoughts within and your desire to get better and better, more and more successful and become a continual high achiever in whatever you decide you want to do. If you would like assistance with that change and taking the first few steps, then look out for our forthcoming workshops, designed to really make the difference. To register your interest at this stage, simply drop us an email at change@imduk.com We look forward to hearing from you. Hallowe’en is fast approaching – Don’t be Spooked! With limited spaces available, we are very nearly at full capacity for the Hypnosis, Meditation, NLP and Quantum Thinking Workshop. Only a few places remain. Why become disappointed and possibly miss out on an opportunity to change your life, for the better, starting right NOW! Thinking of Attending a NLP Practitioner Course? – Attend this First! For those of you who are thinking of attending a NLP Practitioner Course, then this is an excellent low-cost entry level introduction into NLP that allows you to gain a better understanding as to how it is used without committing yourself to the cost and time of a full course. Nervous – So were we once! I can also appreciate that for some of you even attending a one-day event can be daunting, because it was daunting for me too. I can still remember how nervous I was when I attended my first NLP course, many years ago, because I had no idea what to expect. However, for me it was one of the best experiences of my life. It was literally life changing and it has taken me on a journey that I would never have imagined, and this could also be the start of something new for you too. This could be the one event that takes your life into a new and more beneficial direction for you. We have used the skills that we are going to teach you help people get rid of anxiety disorders, depression, shaking, emotional trauma, fear of the dentist and stress. Our techniques are so effective and easy to learn that one major UK employer now runs a similar one day course to what you will experience to help their staff cope with the uncertainty of the current economic climate. The skills and techniques that will be shown to you on this one day event have been put together specifically to help you make better choices and/or give you more of a direction in your life, and we have been doing this now for many years and have achieved great results for many people like yourself, so we are confident that you will enjoy and benefit from the event. I am so sure that you will gain some benefit from the day, that I am even willing to give you my personal guarantee, which is that, if by lunch time you have not found any of the information that I will have given you to be of any benefit to you – I will give you a full refund – no questions asked. 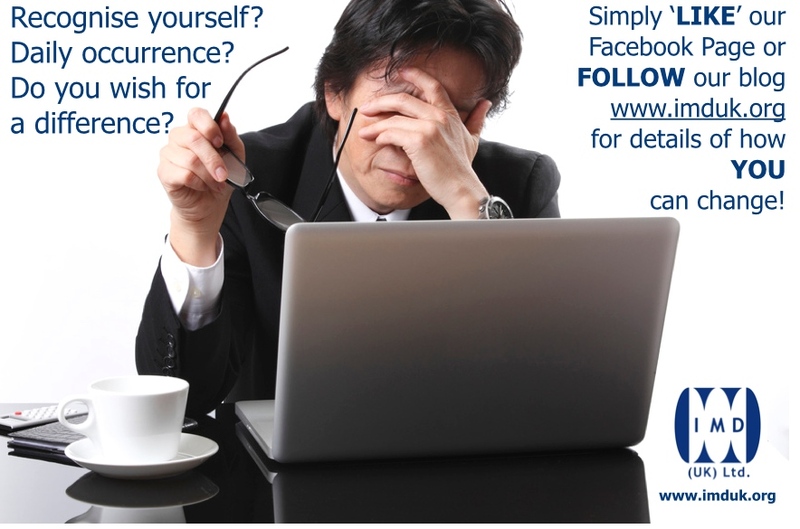 The cost of your investment in you is only £96.00 including Vat for the whole day – if you book now. To book you just have to email nlp@imduk.com to reserve your place and we’ll send you a booking form. You are now possibly only one email away from changing your life! 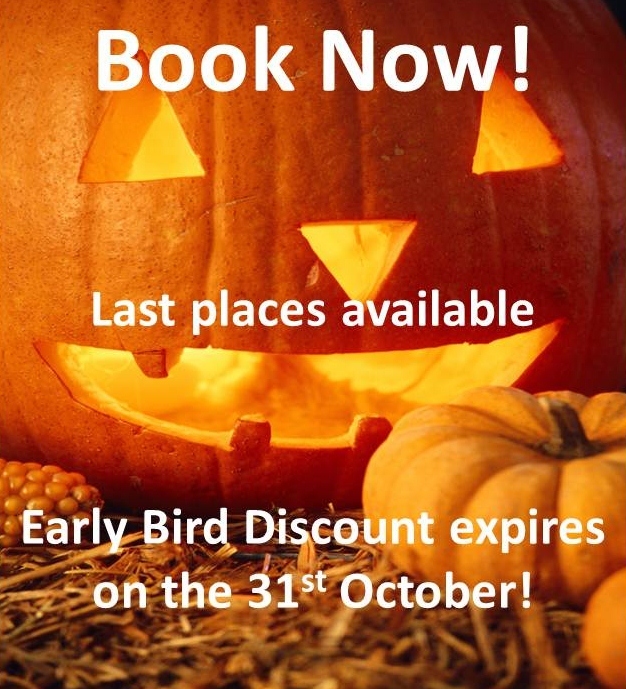 We are also offering a ‘£10-00 Early-Bird Discount’ for those of you who book on and pay for your place before the end of October 2012. This means that you save over 10% on the overall cost of this workshop, an inclusive price of £86-00. PS: We are getting bookings for this event every day and we would love to see you there. I really want the opportunity to affect your life in a positive way, and I hope that you will allow me the privilege of doing so. If I can’t then simply ask me for your money back and I will gladly give it to you – no questions asked. 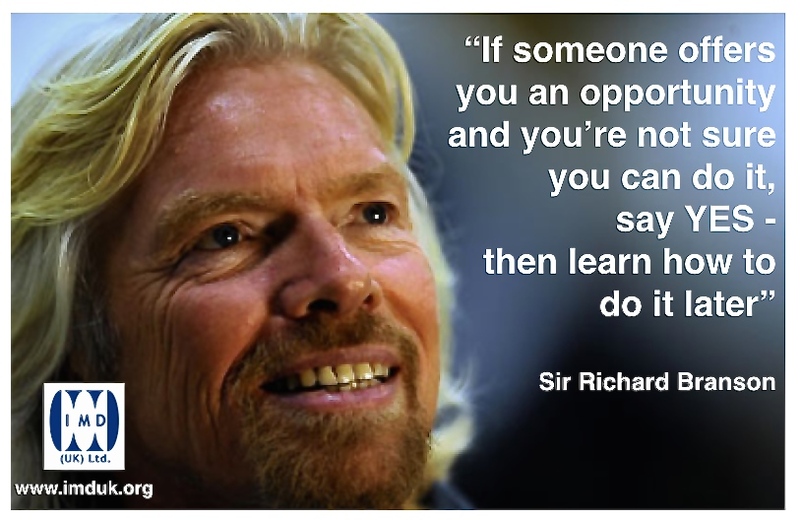 So, what have you got to lose – especially when you consider what you could potentially gain!